How long does it take something to be a tradition? Because if wearing Blue Blue White 5 out of the last 6 years for the final home game of the year is enough, then we are wearing our traditional final home game of the year combo. I don’t hate it. It is nice to finally see that beautiful blue helmet with sharp gold flying WV and not the amazingly generic white lid for a change. I am actually excited about this combo because we seem to play well in big time games with it. And do not be fooled, this is a BIG. TIME. GAME. We need it to stay in the Big 12 title hunt and things can easily fall our way. The students, on Thanksgiving Break, will obviously not show up since they have another excuse not to come. But I expect 45,000 there. And these are honestly the best crowds. The people that truly want to be there will be there and be live. I would easily bet on the loudest crowd of the season showing up Saturday. Can’t wait to join them. 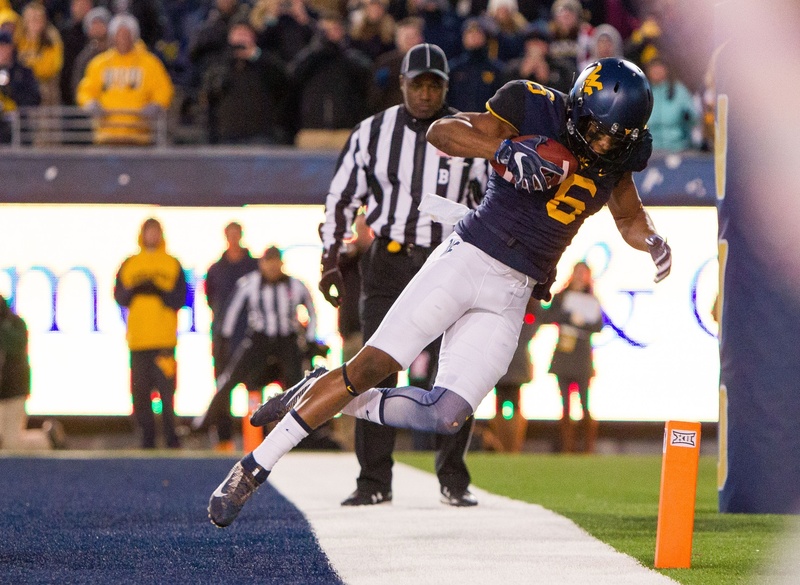 Since joining the Big 12, West Virginia is 21-6 in Noon games. 14-2 at home. You may think this would include some bad OOC matchups, but actually it includes Oklahoma once, Iowa State twice, Texas, Oklahoma State, Kansas and Baylor(when they were good) three times, and Texas Tech FIVE times. Throw in Maryland twice and Missouri once and you have quite a decent slate of Noon games with a somewhat dominant little record. We hold our own over here in the eastern time zone. Next Super Bowl Preview: Dynasty Part 2?